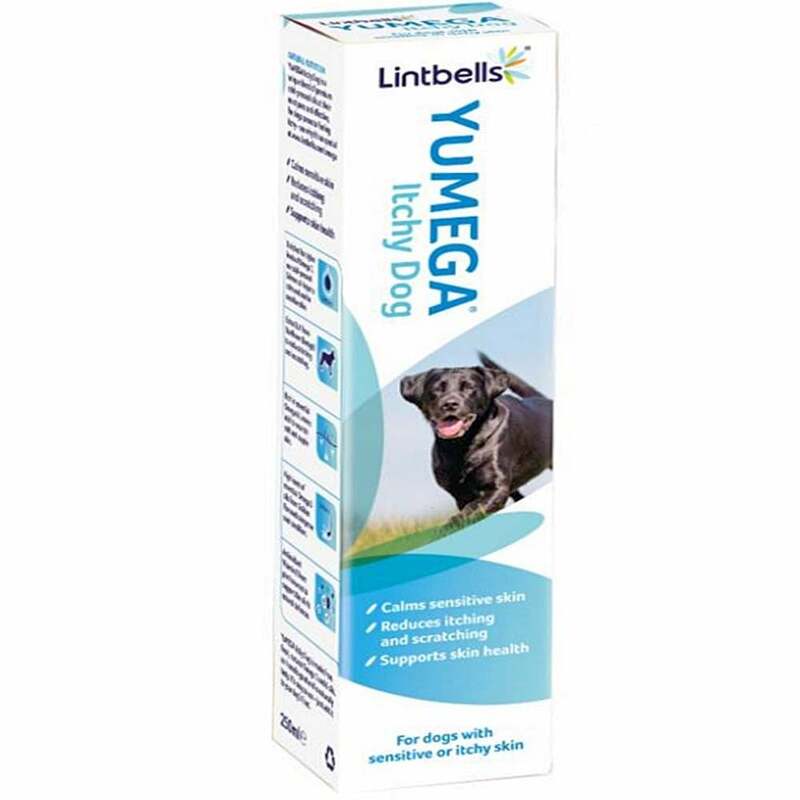 YuMega Itchy Dog contains a blend of Omega 3 & 6 oils, which can help to calm sensitive skin & other skin conditions. It can assist in the reduction of itching, by supporting your dog's skin health. Results can usually be seen within 3-6 weeks of feeding YuMega Itchy Dog. YuMega Itchy Dog contains high levels of GLA (gamma linolenic acid), from Borage (Starflower), which helps soothe your dog’s skin & reduce and their urge to itch, nibble and scratch at their skin. It also contains cold-pressed Salmon oil, which is enriched with higher levels of Omega 3, helping to calm sensitive skin. YuMega Itchy Dog contains high levels of Omega 6 oils, which are a key component of the skin moisture barrier, assisting in protecting the skin from irritants. In addition, YuMega Itchy Dog contains Golden Flax seed oil, which contains high levels of Omega 3 oils that can help to improve overall coat condition. Added natural Vitamin E from plant sources, support your dog’s skin’s natural defences.